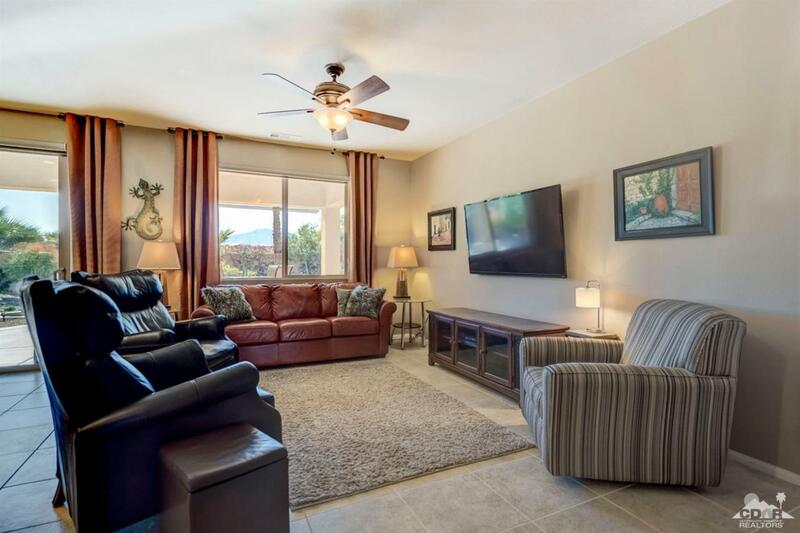 Amazing highly upgraded resort-retirement home with south-facing, large yard offering mountain views. The expanded patio allows for entertaining and relaxing with a fire pit table and cozy seating area. There's also a pad for hot tub or additional seating. 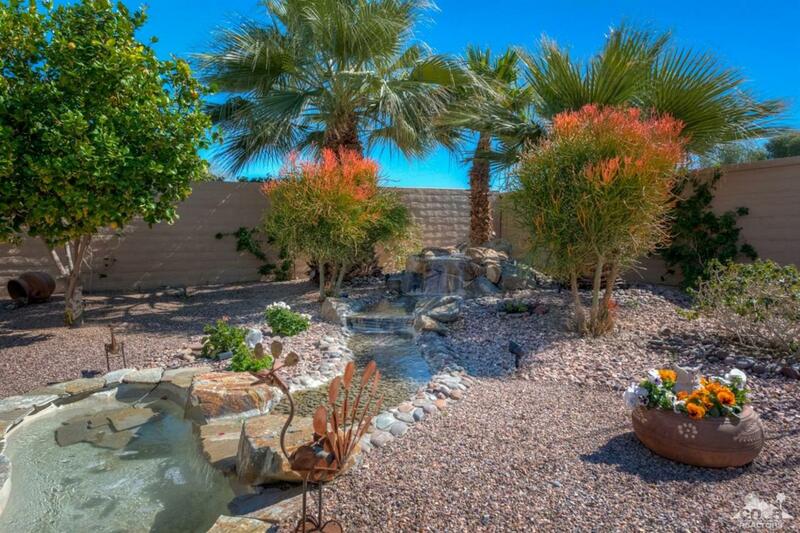 The waterfall-brook makes for a truly perfect setting to enjoy the desert lifestyle. Inside you find lots of tile and neutral colors. The master suite has a huge walk-in closet, tile, twin sinks and a large walk-in shower. The granite and wood cabinet kitchen has stainless appliances, a wrap-around bar and tons of counter space. There is a spacious laundry room with cabinets and a sink. This home is light and bright. How nice there's a secure, walk gate just down the street, making it a short walk/bike ride to the SCSH full-service restaurant a block away. 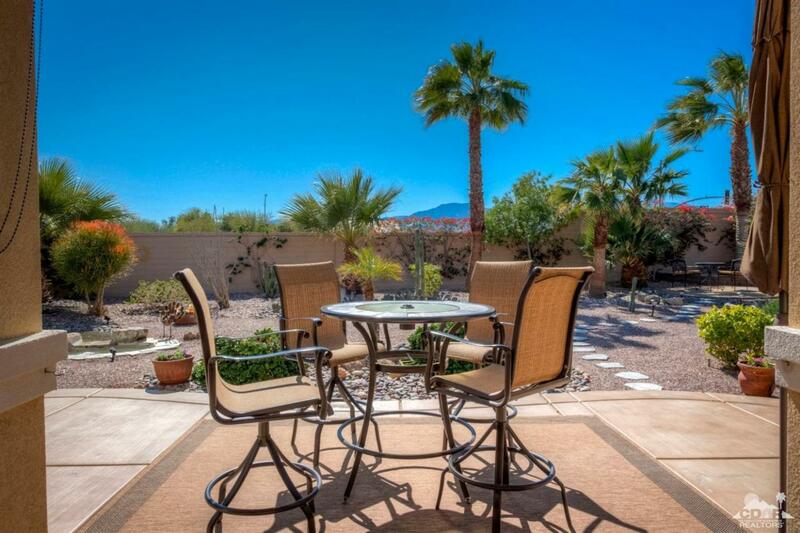 Patio furniture and 3 TVs are included. All other turn-key furnishings available outside escrow. SCSH is an award-winning Active Adult community with many amenities and low Dues! Association Name Sun City Shadow Hills Comm. Assn. 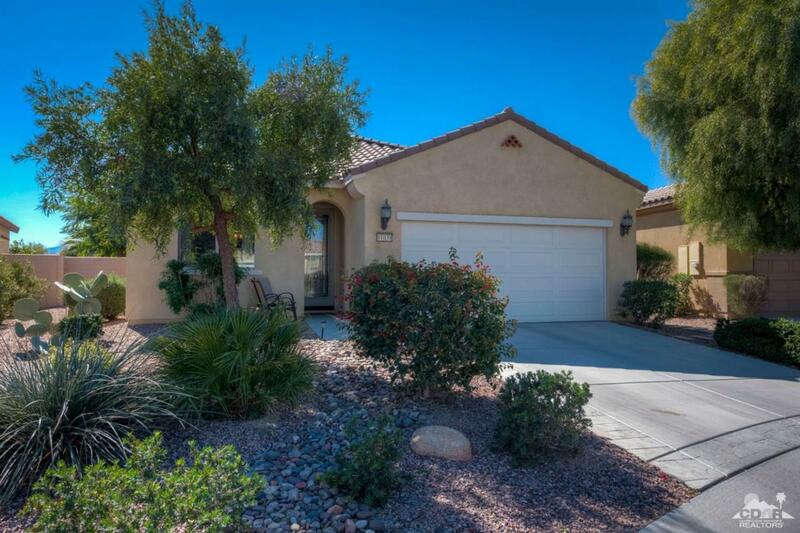 Listing provided courtesy of Bonnie Steele of Bennion Deville Homes.